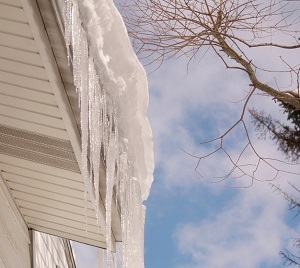 Ice and snow are just one of the causes of damaged gutters. Your gutters are essential for keeping your home protected from weather damage and leaks, which is why it's important to keep them well maintained. If you have damaged, leaking gutters or sections of gutters separating from the house, Home Solutions Midwest can help! We provide complete gutter repair services, including leaks, broken sections, and downspouts. Our experts will ensure that your gutters are working correctly and keeping your home protected from water damage. Call us today at 1-844-665-0388 or contact us online to get a free estimate on gutter repair for your home! We offer all our services in Winona, Owatonna, Austin, Faribault, Farmington, Northfield, Albert Lea and nearby in MN & IA. If you have issues with leaking or damaged gutters, Home Solutions Midwest is here to help. We offer complete gutter repair services for all types of problems, ensuring your home is fully protected from weather damage. Call us today at 1-844-665-0388 or contact us online to get started with a free estimate! 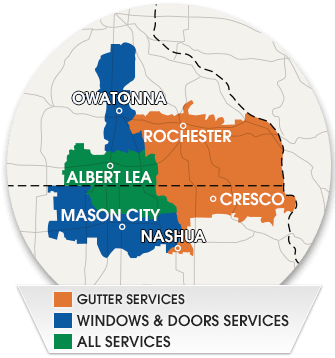 We offer all our gutter services in Northfield, Rochester, Mason City, Owatonna, Winona, Faribault, Austin, Northfield, Albert Lea, Farmington and throughout the surrounding areas in Minnesota and Iowa.